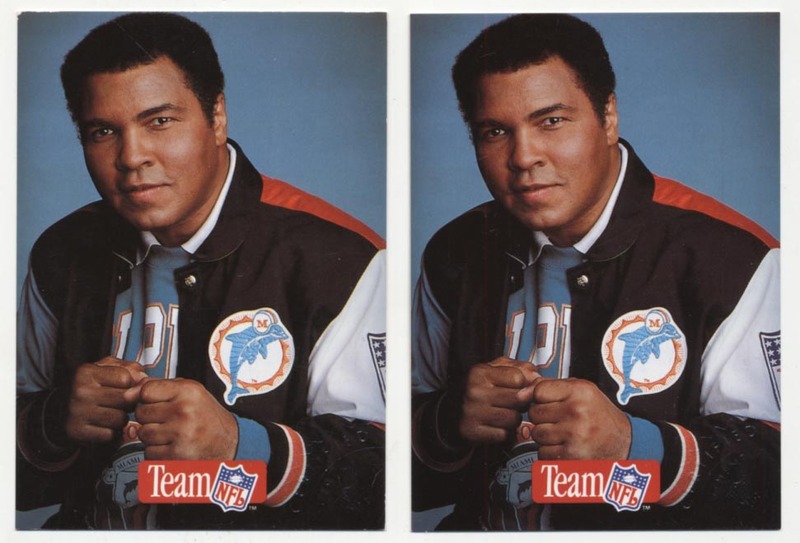 Neat pair, these popular 1992 cards have terrific quality signatures on the back above a contemporary photo of Ali. I like this lot as one card is signed Muhammed Ali, the other Cassius Clay. These would look great in the right display.